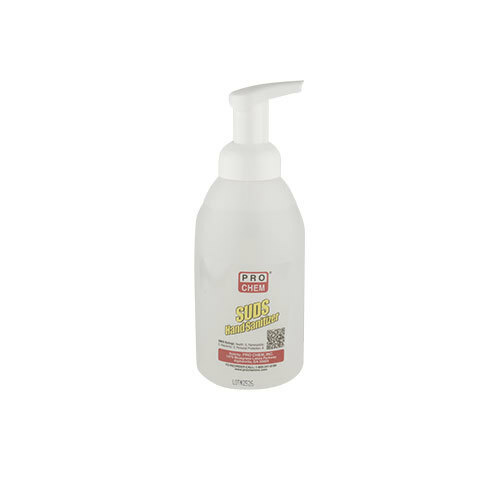 Suds Hand Sanitizer | Pro Chem, Inc.
SUDS HAND SANITIZER’s active foam bubbles spread over hands much quicker than traditional skin sanitizers, making it far more advanced and effective than competitive sanitizers. In addition, current studies have shown that it provides a more thorough cleaning due to the expansive micro-foam coverage during sanitizing. 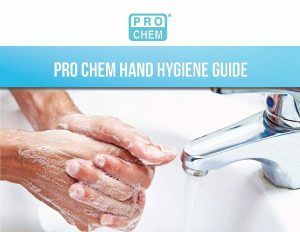 It may be used when away from a water source or anytime you need hand sanitizing, especially when exposed to pathogens. To decrease bacteria on skin apply a small amount to palm. Rub hands together until dry. Use as needed between hand washes to help reduce bacteria on the skin.